Growing up with the rest-focused Jewish tradition, I learned early on about the importance of unplugging and recharging. It’s 8:20 pm on a Saturday and I’m sitting cross-legged on the couch in my sister’s apartment, dipping a baby carrot into the tub of hummus that sits in between the two of us. “Ugh, it’s over in five minutes,” she notes, looking at the microwave clock. In the moment, the room feels perfectly still – free of any ringing, beeping, or buzzing. But in a few minutes, our 25-hour tech-free sister time will be over, replaced with the device-consuming surge of the everyday. “Time flies,” I respond. Growing up, I would always run to turn on my phone immediately after Shabbat ended on Saturday night. As soon as the stars came out, my siblings and I would put away our Monopoly board, turn on the TV, and instantly start texting our friends. Don’t get me wrong – we loved the relaxation and ease that came with our Shabbat rituals, but by the time it was over, so was the peaceful comfort of our uninterrupted family time. Shabbat, more widely known as the Jewish Sabbath, is an ancient religious tradition that signifies a day of complete rest, beginning at sundown on Friday, and concluding Saturday evening. 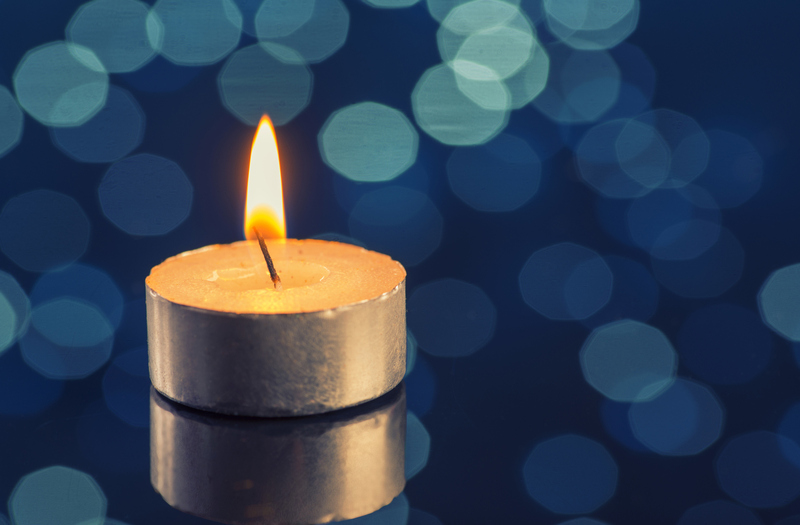 The observance of Shabbat encompasses laws that different sects of Judaism adhere to in various ways, but no matter how you celebrate, the day has two core tenets: no work and no technology. Instead, the rush of the distracting workweek is replaced by a total pause – filled with rest, food, prayer, conversation – and in my house, some seriously competitive games of Charades. I grew up in a neighborhood that was predominantly Jewish — in fact, not only Jewish, but observant. Our synagogue was a short walk from our home, and most of the kids in my class lived within a few blocks of me. After school ended on Fridays, I would spend the afternoon with my mom, helping her bake homemade challah bread and then treating ourselves to a pre-Shabbat manicure (although I don’t think that ritual is written in the Bible). Needless to say, when it came time to move to a big city and start college, I was in for quite the culture shock. No longer sheltered in the comfort of my childhood home, I didn’t have anyone enforcing the rituals that were so embedded into my life while growing up. And like all college students, living away from home for the first time granted me a sense of freedom. My weekends were my time, and I could spend them however I wanted. Suddenly, I didn’t have to go to synagogue, or say no to a party on a Friday night. I didn’t even have to turn my phone off at sundown. Imagine that. My relationship with Shabbat had its minor ups and downs, but it didn’t take me long to realize that the ritual I had grown up with was about so much more than my religion. It was a ritual that allowed me to embrace in-person quality time, completely undisturbed – a concept that is more rare than ever now. We often talk about the importance of unplugging and setting boundaries with our devices, but it turns out these ideas are ingrained in the tradition that my ancestors have been commemorating for generations. If leaving home and entering the real world taught me anything, it’s that relationships are sacred, and if you’re given the chance to spend uninterrupted time with your loved ones every week, take it. I’ve learned that part of “adulting” is figuring out how you want to spend your time, and who you want to spend it with. Oftentimes, my Shabbat is spent eating sushi with friends, or simply curling up in sweatpants to read that book I didn’t have time to open during the week. And while I may not follow every Jewish law, my appreciation for a true day of rest is stronger than ever. So my point is: Shabbat is about more than religion. It’s about making time for the people who are worth making time for, and giving yourself that break you so desperately need. Even if you’re not Jewish, I’d recommend trying a Shabbat-style hiatus every now and then – even if it’s just for a few hours. Life is just too short to be texting during dinner.